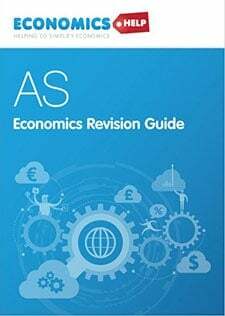 Home > Economics help blog > economics > Why is the aggregate demand (AD) curve downward sloping? 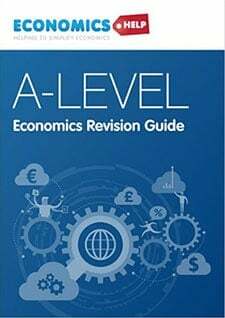 Why is the aggregate demand (AD) curve downward sloping? If there is a fall in the price level, there is a movement along the AD curve because with goods cheaper – effectively, consumers have more spending power. Why is AD curve downwardly sloping? Increase in demand for exports. If there is a lower price level in the UK, UK goods will become relatively more competitive, leading to higher exports. Exports are a component of AD, and therefore AD will be higher. Lower interest rates. At a lower price level, interest rates usually fall, and this causes higher aggregate demand. The rise in demand is not due to the usual microanalysis. 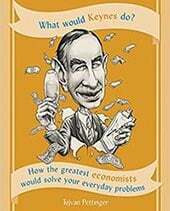 In microeconomics when we examine one particular good, a lower price of a good leads to more demand because it is cheaper.If the price of potatoes falls, you may buy more potatoes instead of pasta because potatoes are now relatively cheaper. This is an example of a fall in the price of a particular good. 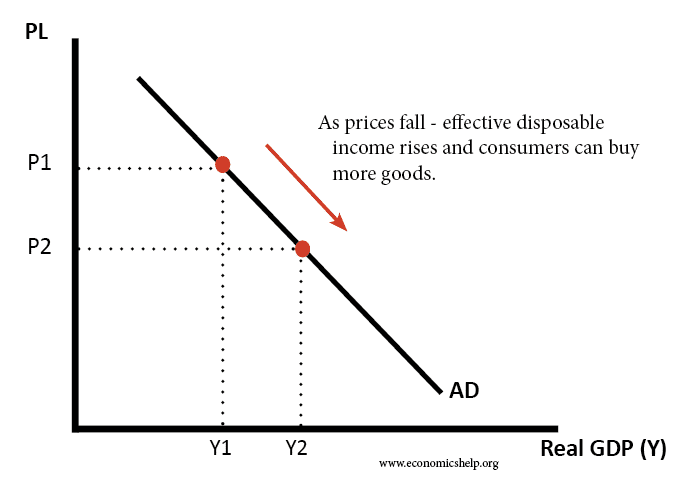 With aggregate demand (AD) we are looking at the aggregate price level for the whole economy. 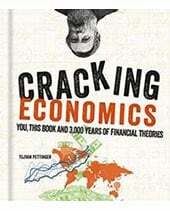 In macroeconomics, a period of (deflation) (falling prices) can cause a different dynamic which leads to lower spending. If prices (and wages) are falling, then consumers may see an increase in the real value of debt. Deflation increases the effective debt burden, leaving less for spending. Falling prices may increase real interest rates – if nominal interest rates can’t fall any further. If falling prices are due to technological improvements and enabling higher real wages. In this case, we could get lower prices, but AD continues to increase. If falling prices are caused by a recession and spare capacity, then we are much more likely to get lower AD. In a recession, wage growth will be weak and consumers nervous to spend. Falling prices will be not sufficient to encourage spending because confidence is low. 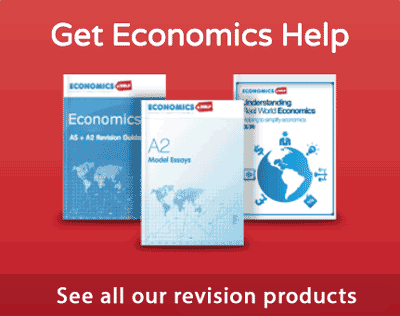 This entry was posted in economics and tagged macro-economics. Bookmark the permalink.